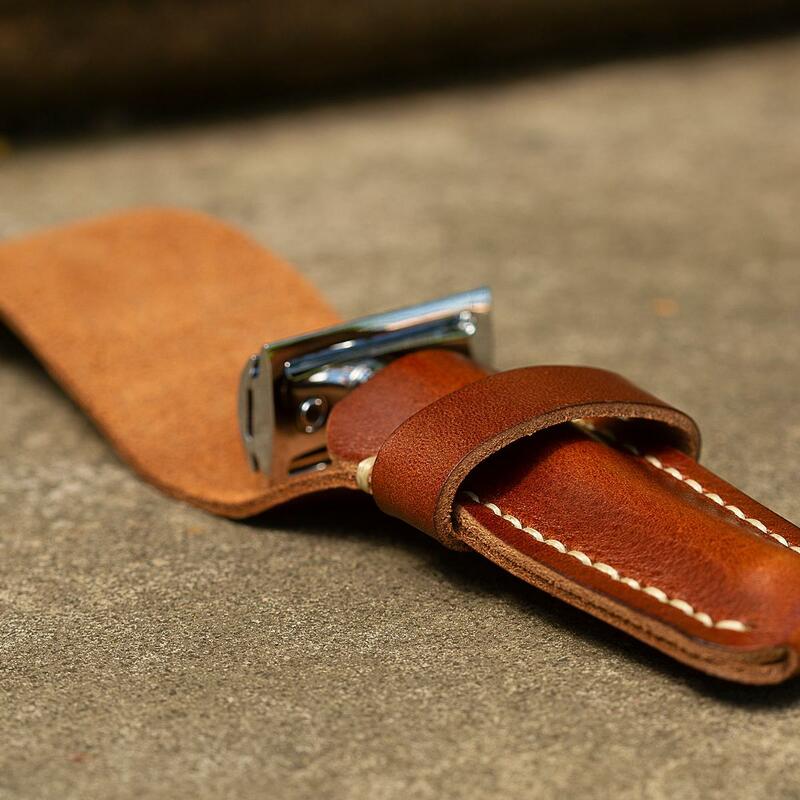 Custom handcrafted branded leather razor case in brown/tan. 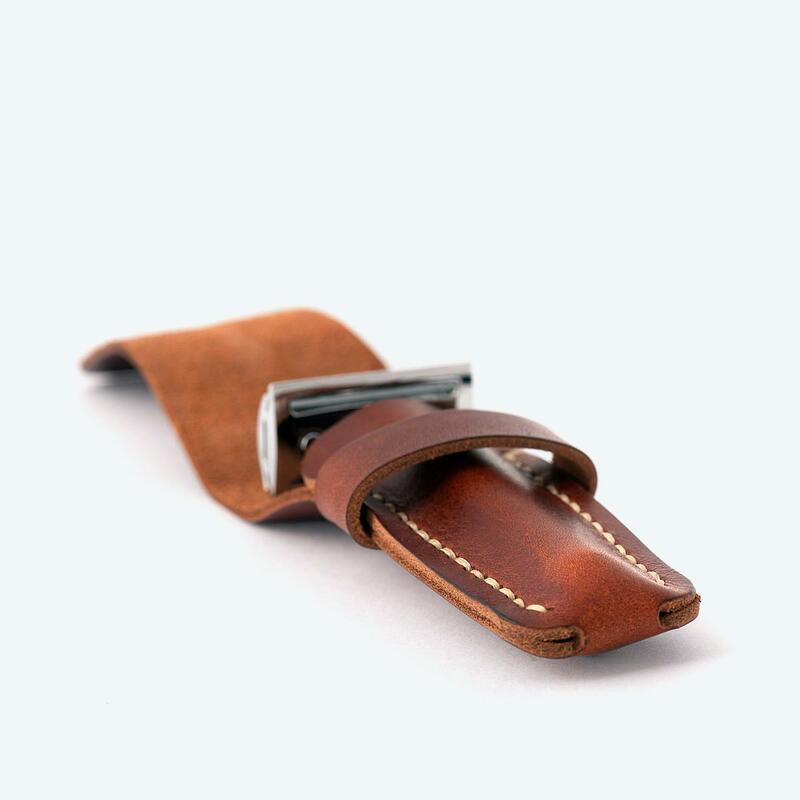 A perfect fit for your Wilde & Harte safety razor. 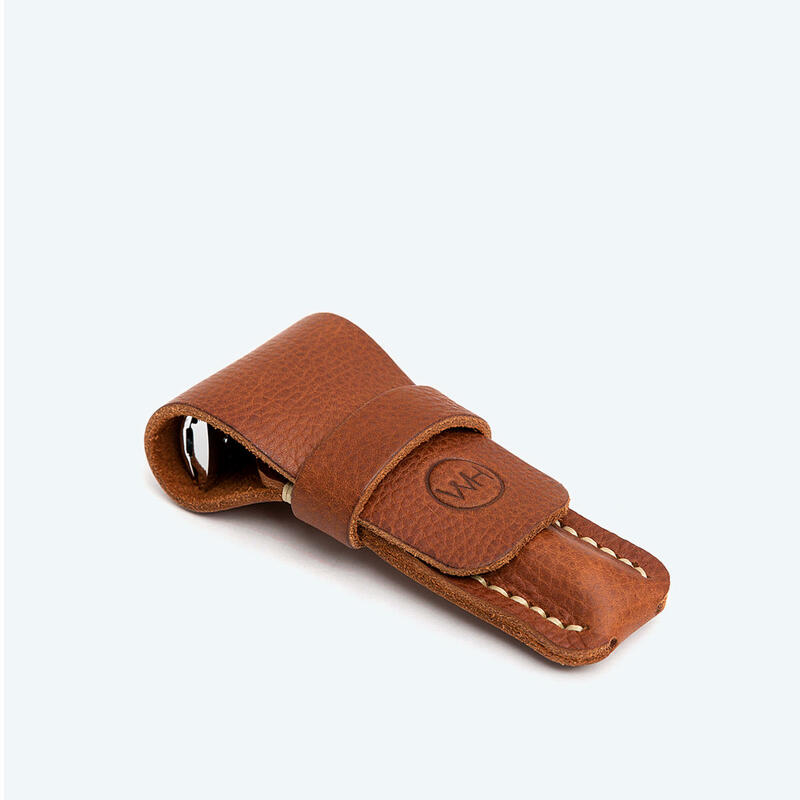 This branded leather case offers protection for your safety razor when stored in a bathroom cabinet or wash bag. Accommodates the Wilde & Harte double edge safety razor of dimensions 100mm long by 40mm deep. 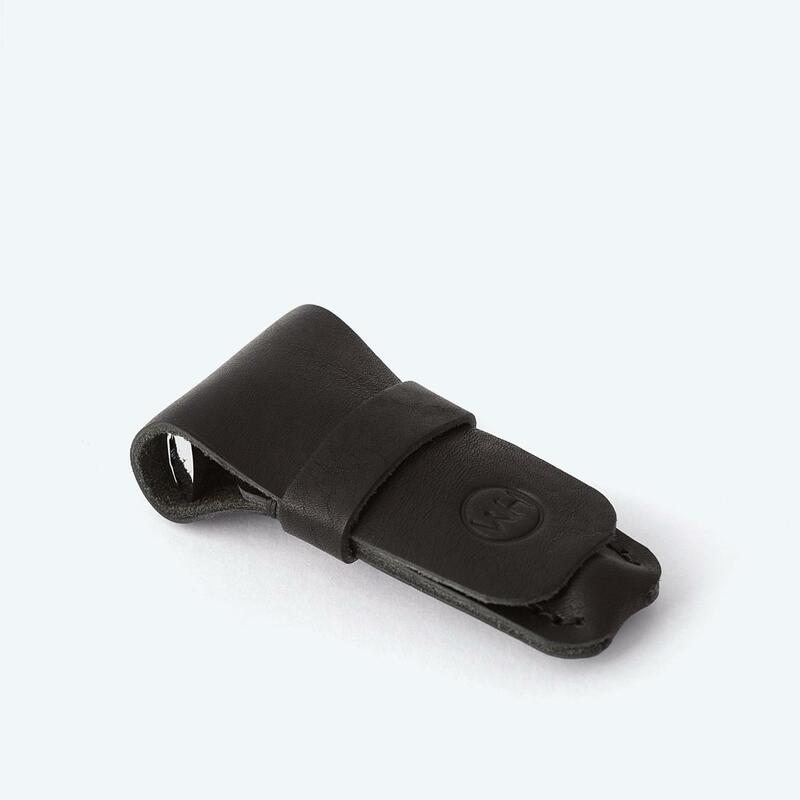 Note: Safety razor featured in product images NOT included when purchasing your safety razor pouch. 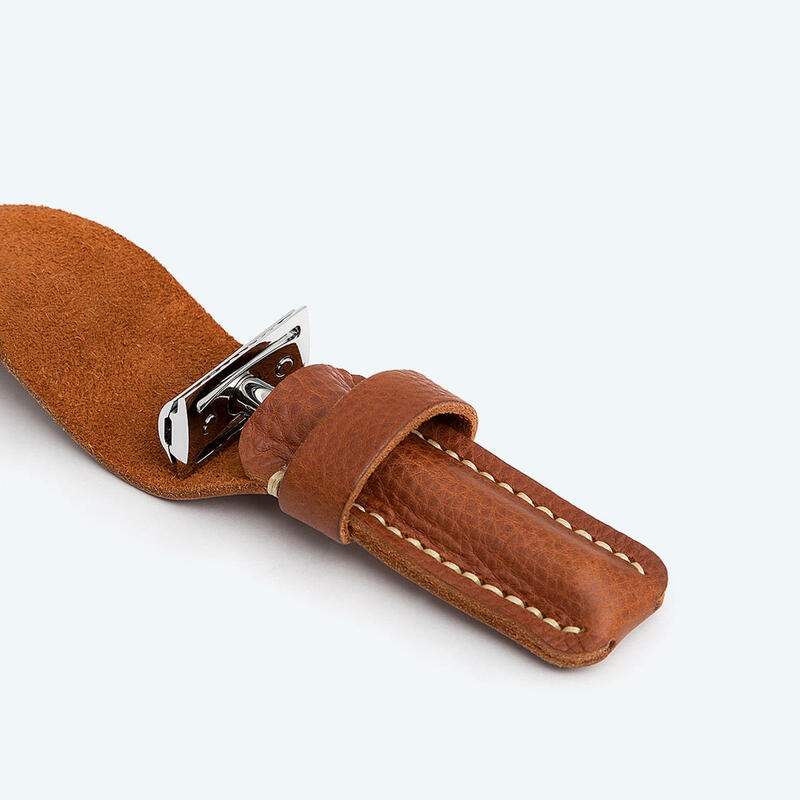 Texture and colour of tan/brown leather varies dependent upon available stock.